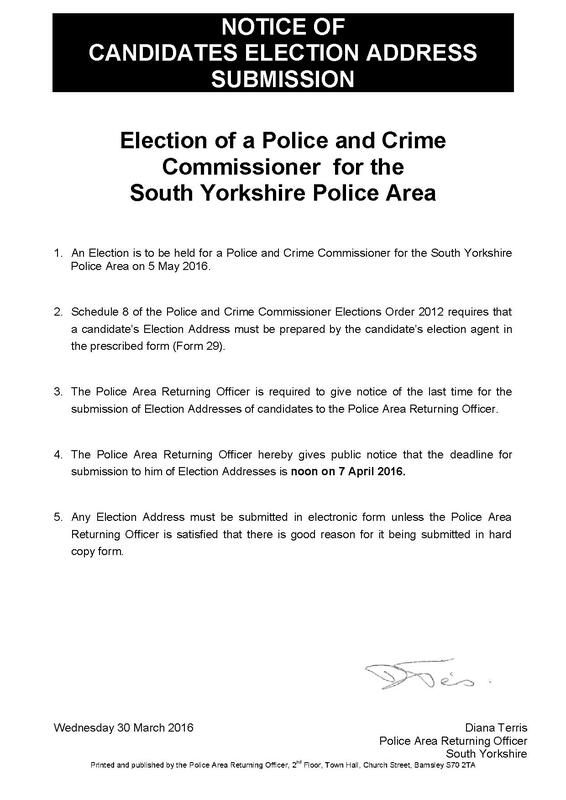 The Election for South Yorkshire Police & Crime Commissioner is also under way. 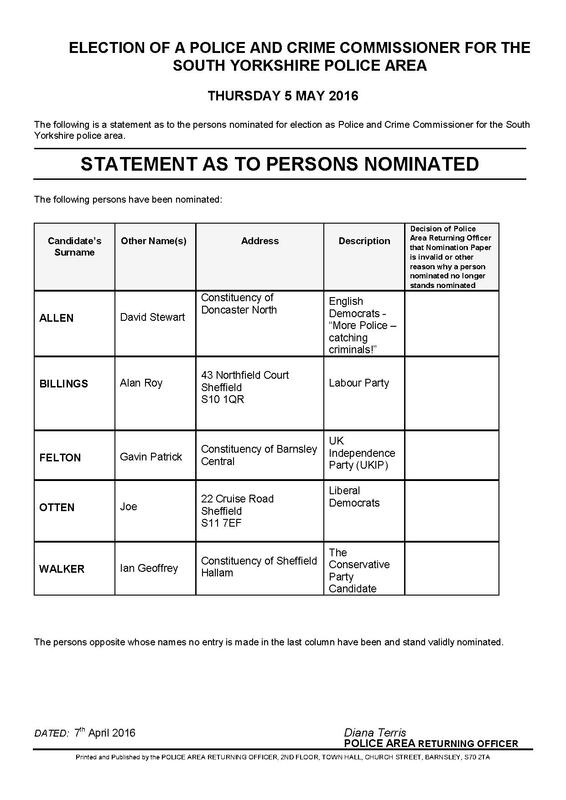 This entry was posted in Elections 2016 and tagged Alan Billings, Barnsley, David Stewart Allen, Doncaster, Elections 2016, Gavin Felton, Ian Geoffrey Walker, Joe Otten, Rotherham, Sheffield, South Yorkshire Police, SY Police & Crime Commissioner by Rik. Bookmark the permalink. just a minute mr wells. didn’t you say you were voting for a labour candidate in dinnington???? I don’t answer to Mr Wells, first name please. Simon Tweed is one of three candidates I am voting for, I just wish he would stand as an Independent. Simon has been one of the most helpful councillors around here from my perspective. In view of the Labour record for decades in Rotherham Tim It would be nice to know what exactly do the Labour Party stand for that makes anyone with any integrity want to sit in the same pew . I met Gavin Felton at the Dinnington town council meeting last night. 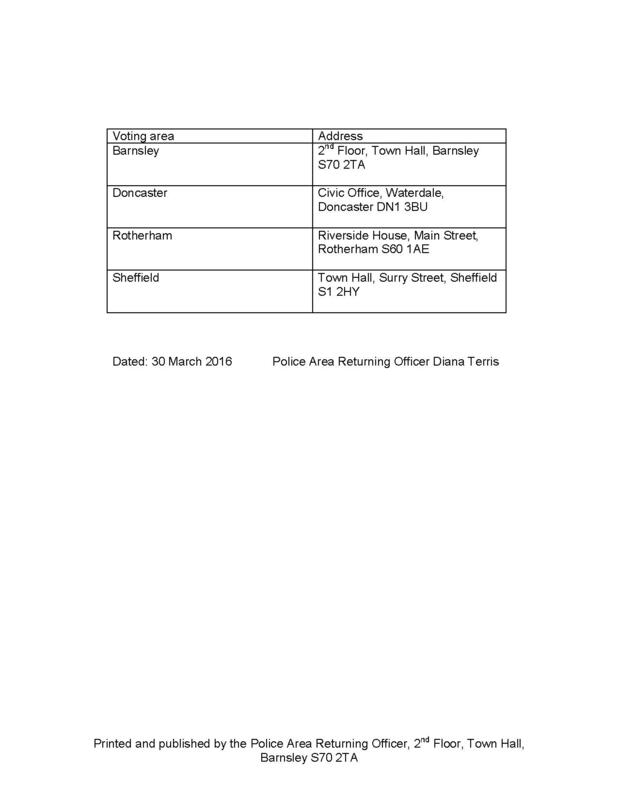 I really liked what he had to say, especially about re opening the police stations at Dinnington and Penistone, which are roughly the same size communities. I will be voting for Gavin and asking others to do the same. 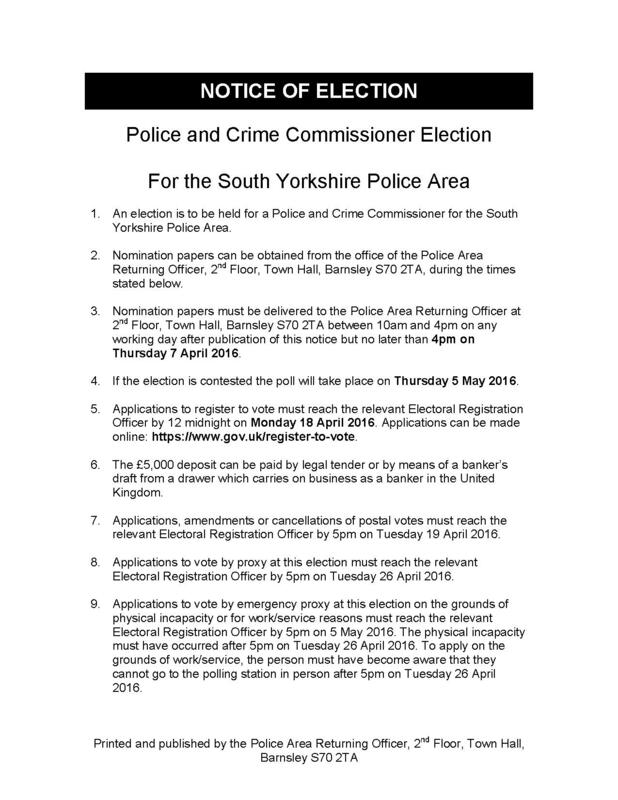 I just hope people vote for somebody who will bring back community policing and cut through the political garbage that stops the police doing their job.